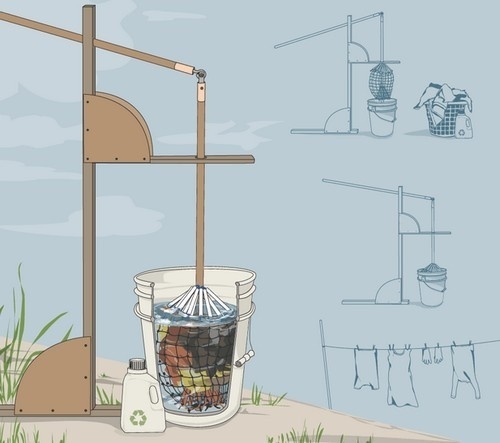 This low-cost and efficient manual laundry machine was originally designed to help out people in developing nations. Chances are that you wont find yourself in a situation where you need to build your own laundry machine and run it without electricity. The design is extremely clever and can be used for camping, a cabin without electricity, or I suppose for just reducing your environmental impact or lowering your utility bills. Then again, you never know when the power might be out for more than a day or two so it pays to consider how you would address your need for clean clothes before you find yourself needing such an alternative. Get all the materials and assembly details here.